We ventured out into the snow today and was that ever a mistake. The roads were in terrible condition, and my car was sliding all over the place. 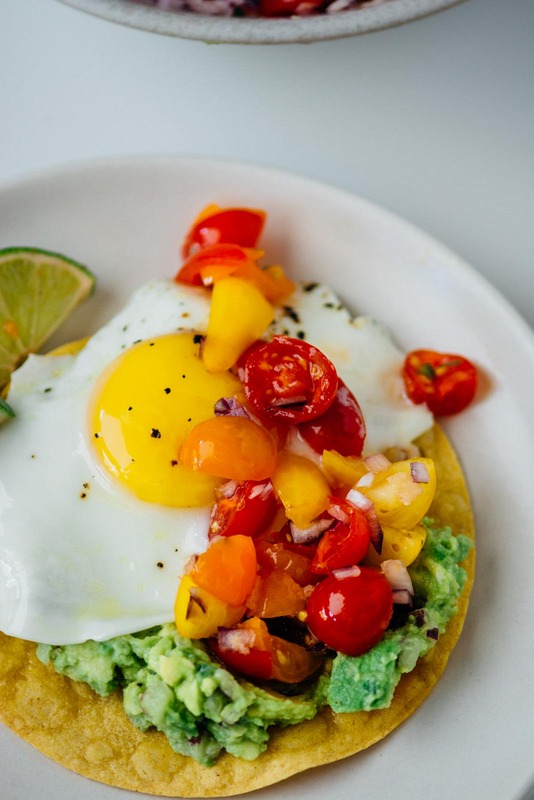 I should have stayed home and eaten another one of these avocado breakfast tostadas. I grew up in Southern California, so I have zero experience driving in weather like this. When we finally made it home, I needed to sit and stare for a while, so I apologize for the lateness of today’s post. 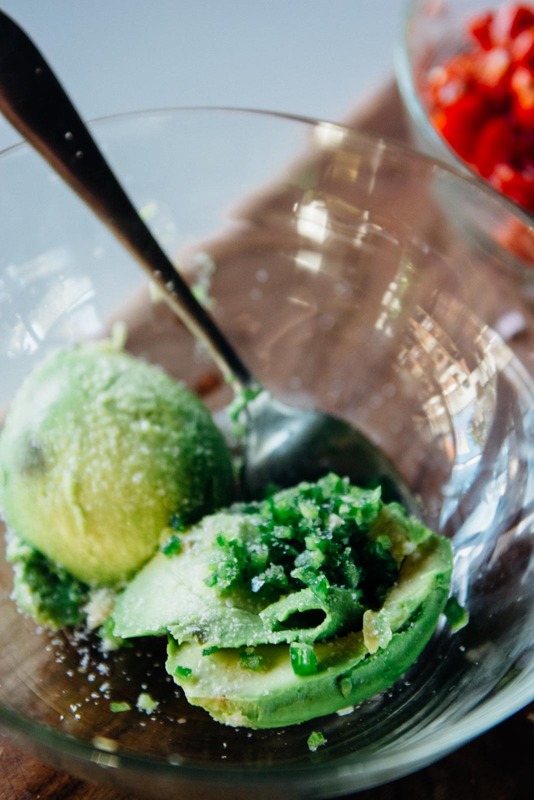 Avocados are a staple in our household, especially since we don’t eat dairy. During the snowstorm, my son’s biggest concern was that we were getting desperately low on avocados. When we finally made it to the grocery, I made sure to stock up on a ridiculous amount. 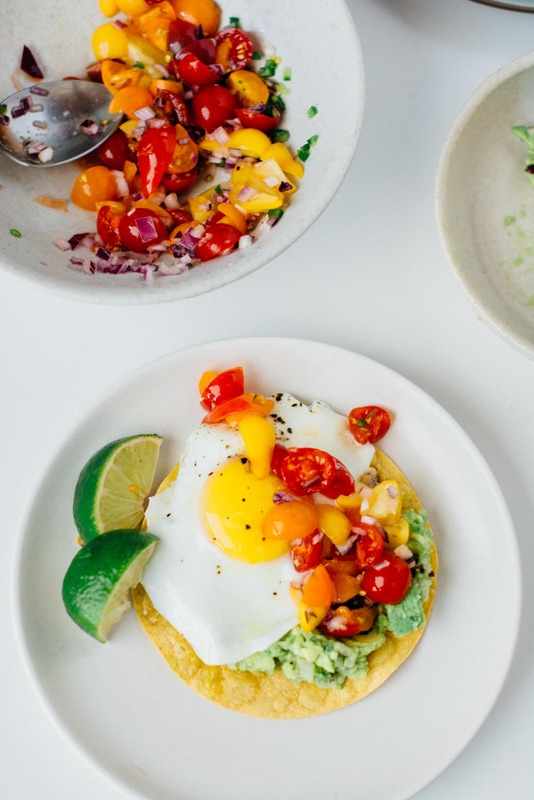 These tostadas are easy to put together but do require a bit of time since you are making guacamole, salsa and then frying up your eggs. Breakfast for dinner is also big in our house, and this is one of our favorite weeknight meals. 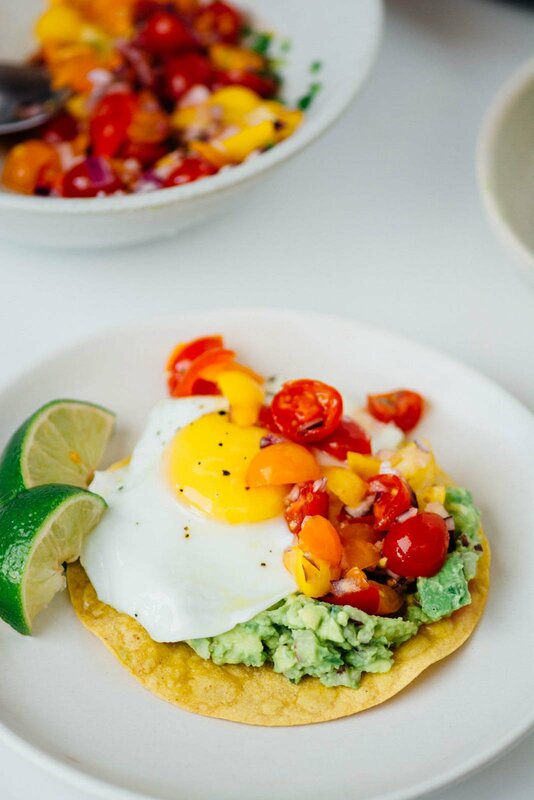 These avocado breakfast tostadas made with guacamole, salsa, fried eggs, and corn tortillas perfect any time of the day! 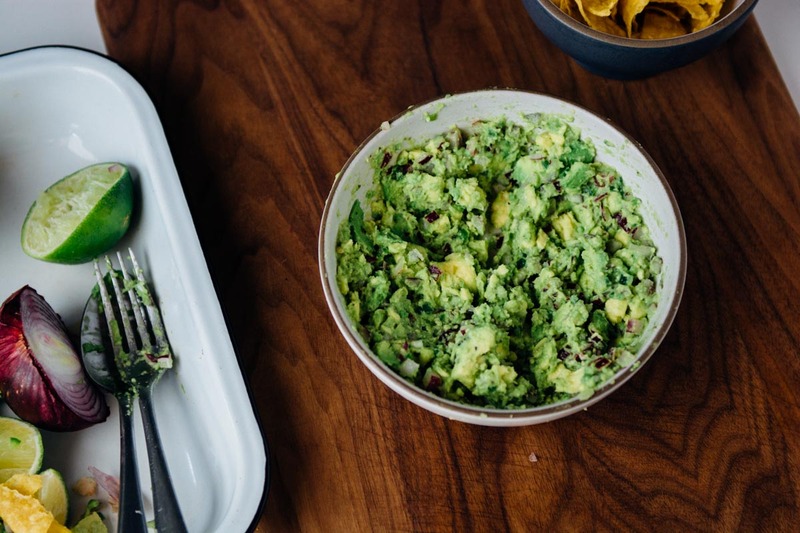 Set two medium sized bowls out on the counter so you can prepare both the guacamole and salsa at the same time. Add the tomatoes to one bowl and the avocado to the other. 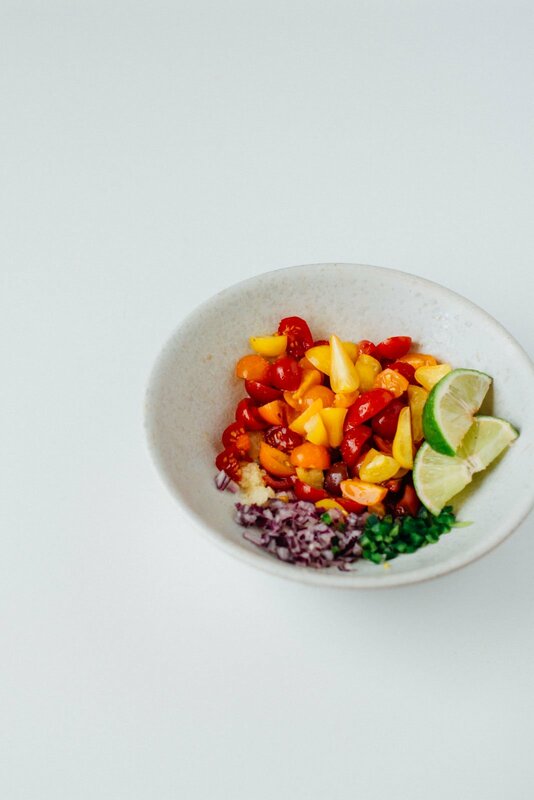 Divide the red onion, garlic, jalapeno, and lime juice evenly between the two bowls. Add ¼ teaspoon salt to each bowl and a ⅛ teaspoon of freshly ground black pepper. Taste and add more salt or lime juice if desired. 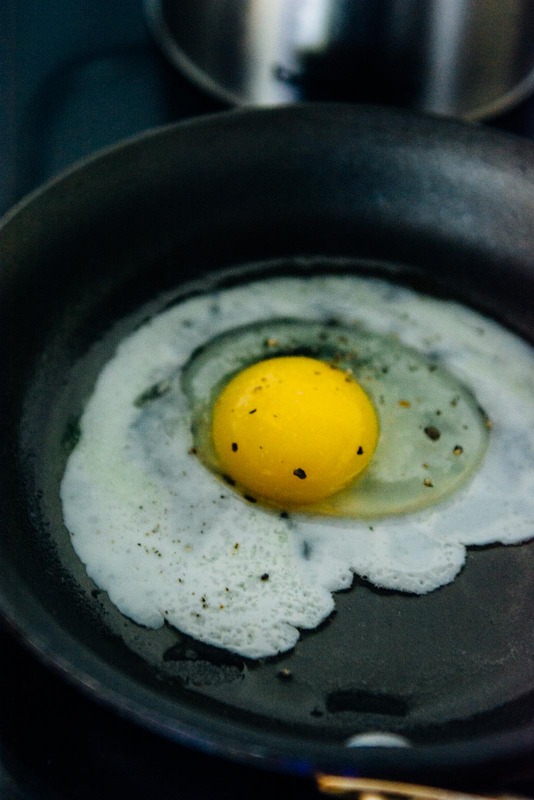 Spray a large skillet with cooking oil over medium heat and let preheat for 2-3 minutes. Add the corn tortillas and cook for 2-3 minutes each side to crisp them slightly. Add the olive oil to the same skillet, add the eggs, cover, and cook for a minute or so just until the edges start to set. Remove the eggs from the heat and let cook for an additional 2-3 minutes or until the whites are cooked through. To serve. 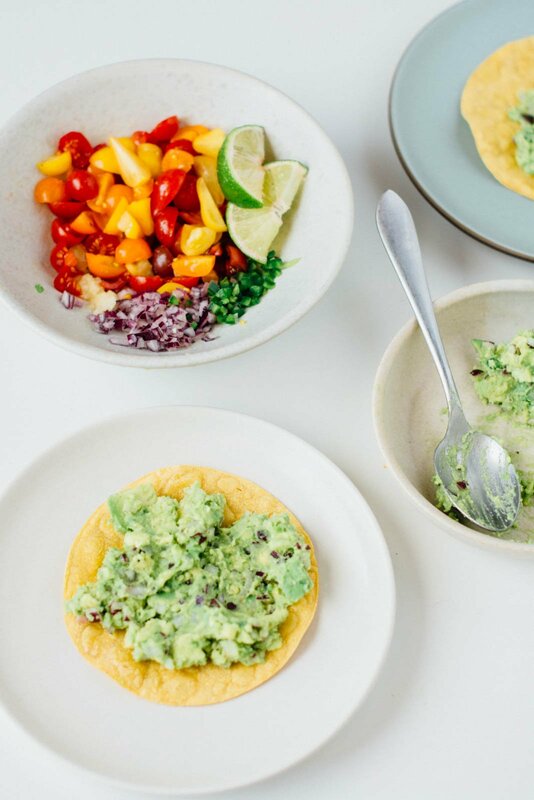 Lay the tortillas on a plate, divide the guacamole between the two tostadas. Top with an egg and drizzle some of the salsa over the top.